Now that the summer weather is finally here I've been looking into making shorts for everyone. 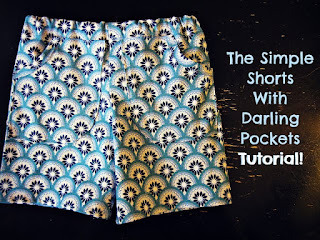 We have a great Angelica shorts pattern for adults by Itch to Stitch on the website but for today's tutorial I found this simple tutorial and FREE PATTERN for children's shorts from Allison on her wonderful blog Freshly Completed. 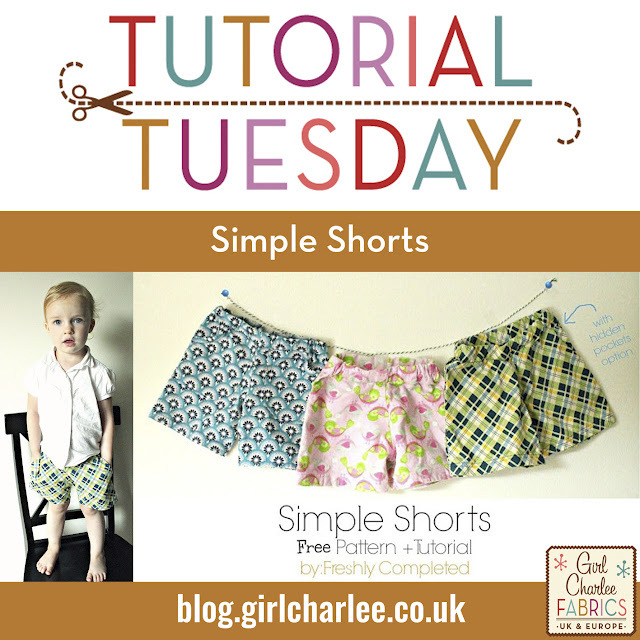 Allison give you a clear step by step guide to make the shorts and you can whip up a pair in less than an hour, using 1/2 metre of fabric! 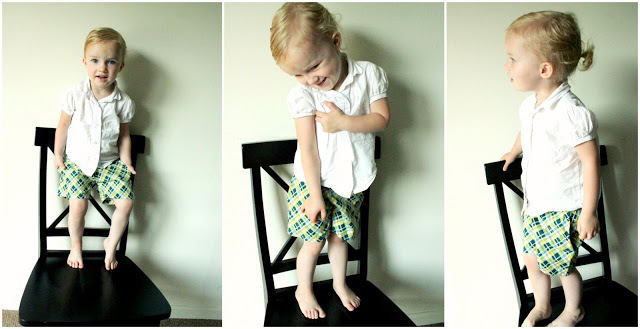 You can make the shorts with or without pockets, or check out her additional blog here for a tutorial with some external Darling Pockets!